I meant to post this last week, but I'm in the middle of studying for finals so it's a little late. I have a confession: I really don't like leftovers. I mean, I eat them because I don't want to waste food or lose money, but I hate eating the same meal multiple times over a few days. Lately what I've been trying to do is make only enough for a meal or two and then using the ingredients in different ways. 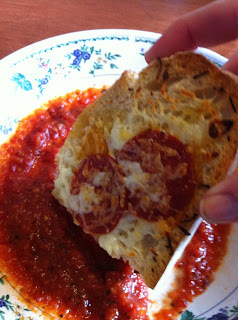 Last week I posted my Simple Artisan Bread, Easy Pizza Sauce, and Petite Caprese Appetizer. From these dishes, I made several new ones. One was some pizza bread! 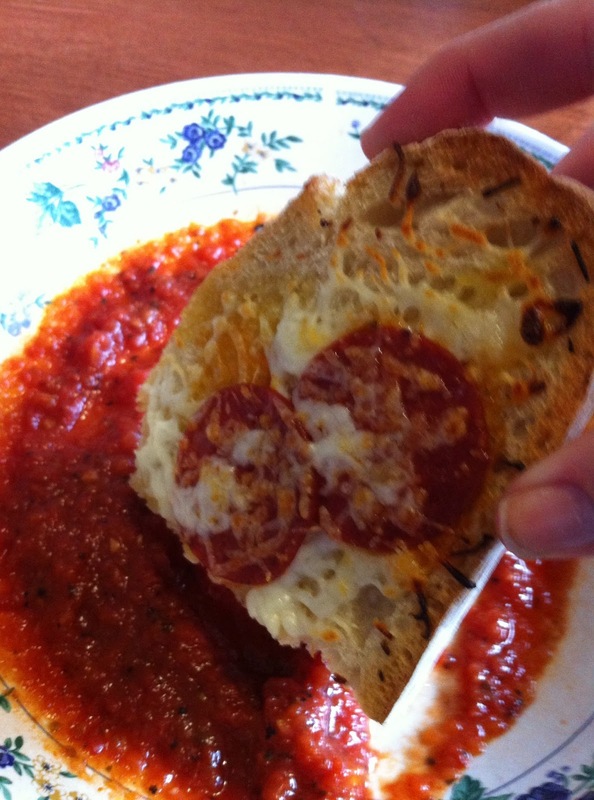 I had leftover sauce, cheese, and pepperoni so I used my artisan bread to make a simple lunch. 1. I sliced the bread and drizzled it with olive oil. 2. I sprinkled with mozzarella cheese and pepperoni. 3. Put oven on high-broil and put bread on baking sheets until the cheese was melted and slightly browned. 4. I heated up my pizza sauce and dipped my bread in it. So good and super easy. It's just sliced tomatoes, mozzarella balls, fresh basil, olive oil, balsamic vinegar, salt, and pepper. 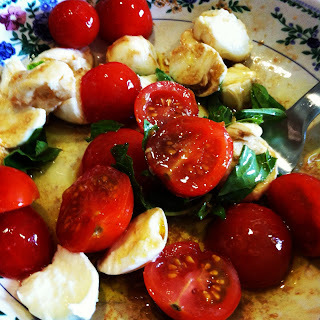 It's perfect for summer because it's light and the tomatoes are ripe. 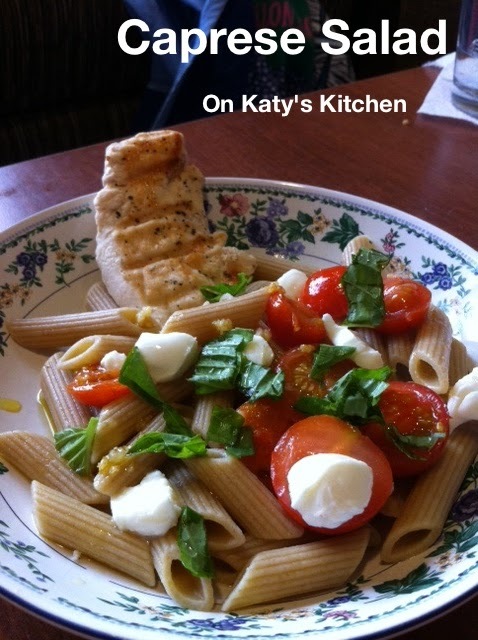 In the past, I've posted Caprese Salad Pasta. Using the ingredients I made it again. Basically I've been using up all the ingredients I've bought and been eating them all in different ways to get out of the leftover rut. Hope this gives some of you some mid-week meal inspiration!